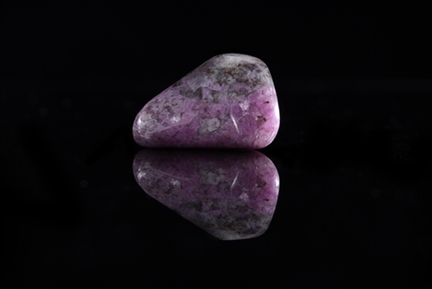 Many believe that birthstones hold healing powers that are heightened during their month..... They also make stunning pieces of jewellery. Birthstones are precious or semi-precious gemstones that are associated with each month of the gregorian calendar. Birthstones have a deep rooted history in many cultures and religions, and the first mentions of gemstones were in both the Old and New Testaments of the Bible, during 40 A.D. In Exodus, the Jewish High Priest, Aaron wore a breastplate with twelve gemstones that had magically engraved names of the twelve tribes of Israel. At the end of the book the 12 gemstones were laid in the foundation of the New Jerusalem (1). The modern and traditional birthstone of January is Garnet, and the mystical stone is an Emerald. The primary element of Garnet is calcium and possess similar physical properties, but each differ in their chemical composition. Garnets symbolise loyalty and friendship. It is also thought to prevent nightmares and provide directional guidance in darkness. The name Garnet comes from the latin word granatum which means pomegranate, because the colour of a Garnet resembles the pomegranate seed. This beautiful gem relates back to 3100 .B.C. when Egyptians used garnet stones as inlays for jewellery. February's modern and traditional birthstone is the amethyst. Amethyst is made up from a variety of mineral Quartz and owes its violet purple colour to irradiation and iron impurities. It is thought to give wealth, love and sincerity to the wearer, and was once esteemed as the ‘jewel of the Gods'. As purple symbolises royalty, the amethyst has a rich history with insignia of power. 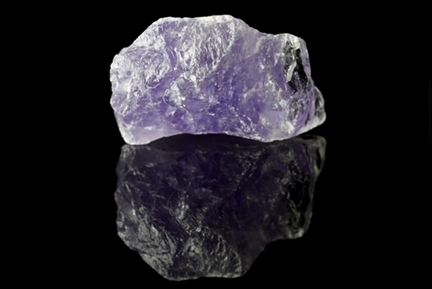 The name Amethyst comes from the Greek term "a-methy-stos" translating to "one that does not get drunk". This is why people believed that this birthstone protected people from getting too tipsy. The month of March has two birthstones for you to choose from. Aquamarine is the modern birthstone, and Bloodstone is the traditional gemstone. These jewels are associated with good health, youth and love. The Bloodstone was the first birthstone of March and is a cryptocrystalline quartz. Historically, Indians believed in medical properties of bloodstone and would use finely powdered bloodstone in medicines. Other cultures believed that if bloodstone turned blood red in colour, it was a warning of impending danger for the wearer. Aquamarine derives from the Greek term ‘aqua marina' which means ‘sea water', as the gem's colour and clarity is similar to that of the oceans. Legend suggests that aquamarine was the jewellery of mermaids, and sailors wore aquamarine amulets at sea to keep them safe. The modern and traditional birthstone of April is the sparkling jewel, the Diamond. 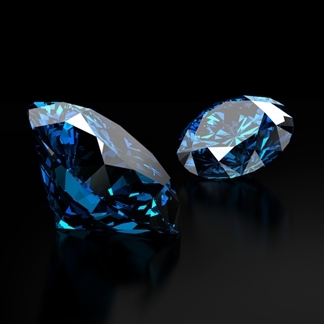 Diamonds are made from a single element, highly organised carbon. This gem symbolises eternal love, which is why it is a popular pick for engagement rings. The name Diamond derives from the Greek term ‘adamas' which means invincible or indestructible, which is why diamonds represent invincibility. The ancient Romans and Greeks also believed that diamonds were the tears of the Gods and splinters that had broken off of falling stars. The first mention of Diamonds was in first century .A.D. where it mentioned that Cupid's arrows were tipped with diamonds. The green emerald is the modern and traditional birthstone of May. Emerald is made from mineral beryl and coloured green by traces of chromium and sometimes vanadium. Emeralds represent health, fertility and faithfulness. The month of June has two birthstones - the modern gem, Alexandrite and the traditional jewel, the pearl. They suggest chastity and modesty. 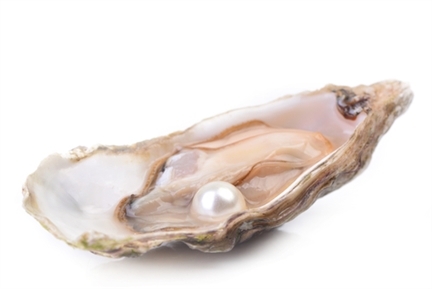 Pearls are made from hexagonal aragonite crystal and found in clams, mussels and oysters. They are incredibly popular because of their beauty. Alexandrite is an incredibly rare stone that was named after Russian tsar, Alexander II. The first Alexandrite stone was first discovered in 1834 in the emerald mines near the Tokovaya River in the Urals. 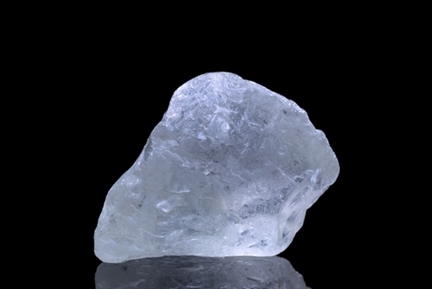 It is incredibly sought after as the gem's colour is dependent on lighting. Pearls are the only gems in the world to be extracted from an animal. No two pearls look the same and every single pearl is unique and comes in many different colours. Pearls from the South Sea are the largest pearls that are harvested in the World, with the average size being 13mm. The Ruby is the traditional and modern birthstone of July. 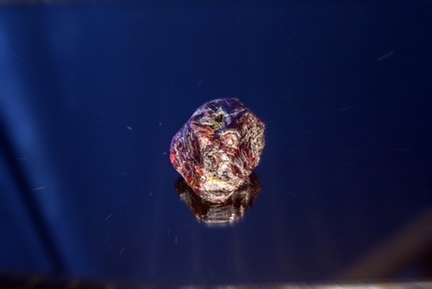 This red jewel is made from a variety of mineral corundum and the element, chromium, which often gives a purple or blue coloured jewel. The ruby is synonymous with harmony and good friendship. The name Ruby comes from the Latin word ruber which means red, and is coveted due to its rarity, hardness and durability. Because of its durability it is one of the most popular stones used in jewellery. It is one of the most sought after jewels in the world. In 2011 an 8.24 carat Ruby belonging to Elizabeth Taylor auctioned for $4.2 million per carat. The birthstone of August is the Peridot (pear-uh-doe). This olive green gemstone comes from the mineral, olivine, and contains multiple elements such as oxygen, magnesium and iron. Peridot is an old French word derived from the Arabic term faridat which means gem. 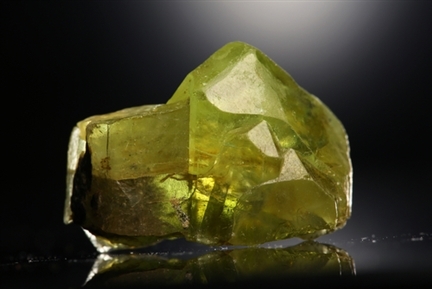 Throughout history, Peridot has been confused with Emerald and Topaz due to its green colouring. Many people now believe that Cleopatra's famous emeralds were infact, peridots. In Hawaiian folklore, the Peridot symbolises the tears of the Goddess of fire and volcanoes, Hele. Other mythology suggest that Peridot helps to aid a successful marriage and wards off evil spirits. The birthstone of September is Sapphire, one of the three gem varieties of corundum. The Sapphire is the most precious and valuable blue jewel in the world, and represents serenity, loyalty and wisdom. The gemstone name, Sapphire comes from the Latin word sapphiru which means blue. However, the Hebrew meaning of this name is beautiful. Much like Amethyst, deep blue sapphires are synonymous with Royalty. This relationship was further reinforced when Prince Charles gave a blue sapphire engagement ring to Lady Diana Spencer in 1997. In ancient Greece and Rome, Kings and Queens were convinced that blue sapphires protected them from harm. Opal and Tourmaline and the modern birthstones of October. Opal is a non-crystalline form from the mineral silica. Tourmaline is formed from the crystalline boron silicate mineral compounded with other elements such as magnesium, sodium and lithium. These gems represent creativity, innocence and hope. Opal is derived from ancient Greek and Roman terminology. The Greek term opallios, meaning ‘to see change of colour', and the Roman word, opalus which translates to precious stone. The ancient Greeks thought that when Zeus wept with joy after he defeated the titans, his tears formed opal. 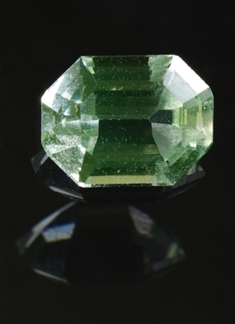 The name of the gem, Tourmaline comes from Sri Lanka. 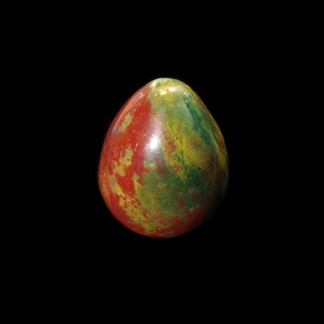 The Sinhalese term tura mali means stone of mixed colours. Folklore states that Tourmaline has many colours because the gem travelled across a rainbow and gathered all the colours. Citrine and Topaz are the Birthstones of November. 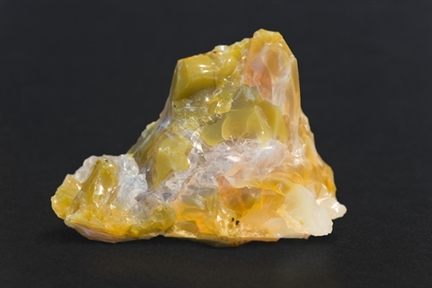 Citrine is made from mineral Quartz and Topaz is a silicate mineral of aluminum and fluorine. These stones are thought to give off healing powers for the body and soul, and provide good mental health. The name, Citrine derives from the French word citrin which means lemon. Naturally light yellow citrine is often referred to as Lemon Quartz, and according to Chinese legend, Citrine is the ‘stone of success'. The name of the Topaz derives from the ancient language of India, Sanskrit, with the words topas or tapaz meaning fire. Topaz comes in a variety of colours, and the most valuable natural colour of Topaz is red. December's birthstones are the blue jewel, Tanzanite and Zircon. Tanzanite is an incredibly rare gem comes from the mineral, zoisite. Zircon comes from the mineral, nesosilicates and both a token of a happy life and good fortune. 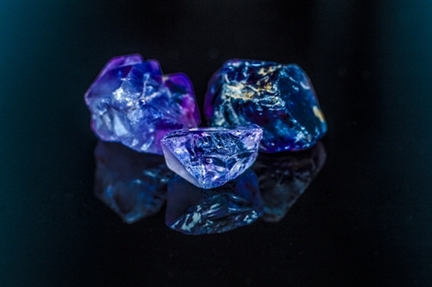 Tanzanite was first discovered in Tanzania, East Africa in 1967. Because this gemstone has recently been discovered there is little folklore surrounding it. The name, Zircon derives from the Arabic words zar which means gold, and gun which means colour. 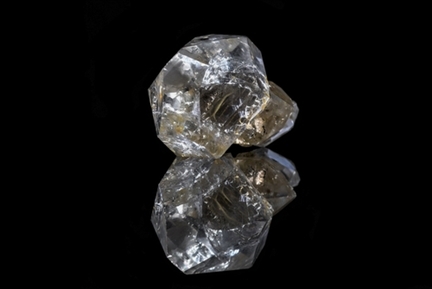 For years, transparent Zircon was used to imitate diamonds, which is why it is often thought of as a cheaper alternative. Have a look at our stunning gemstone rings, necklaces and earrings.